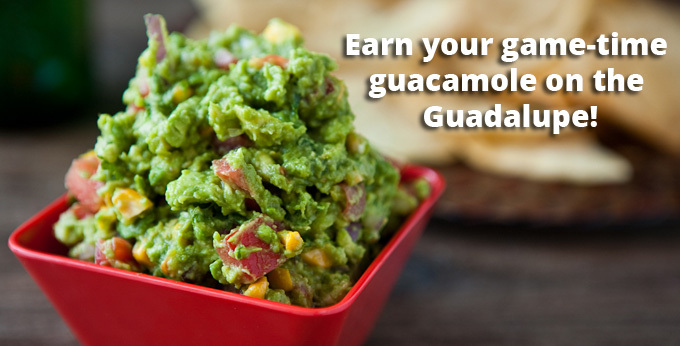 Earn your guacamole on the Guadalupe! 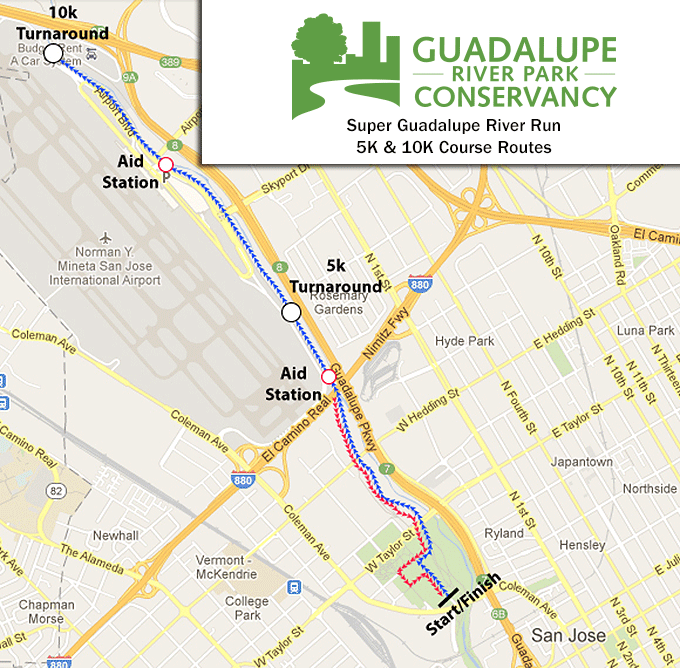 For runners registered before February 1st at 3:00pm, bibs will be available for pick up at the Guadalupe River Park & Gardens Visitor & Education Center (438 Coleman Ave, SJ 95110) from noon to 6:00pm on Wednesday, Feb 3rd and 9:00am to 6:00pm Thursday and Friday, February 4th and 5th. Bibs will also be available on race day from 7:30am to start time. 1K participants will receive their bibs prior to the start time on race day. 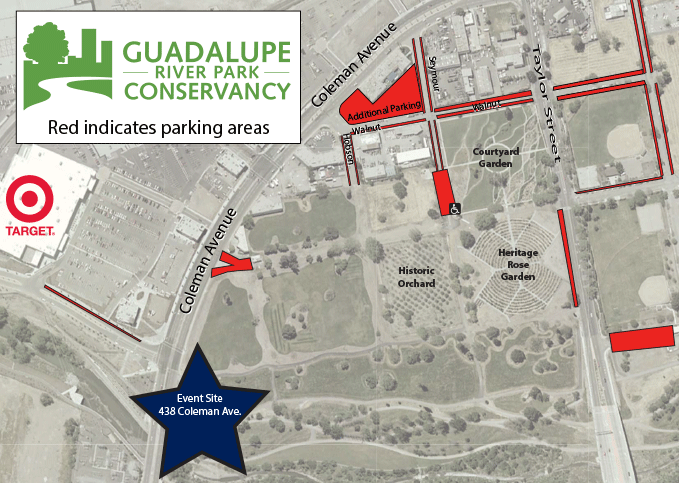 For $10 per child, you can leave your kid(s) with us while you run the 10K or 5K; they must be picked up by 10:30 am. Children must be potty-trained. You must sign up and pay in advance so that we have enough supervision on site that day. Email childcare@grpg.org if you're interested.